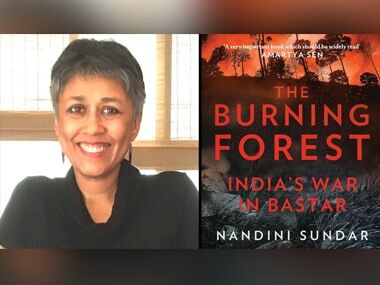 In her meticulously researched book, The Burning Forest: India’s War in Bastar, Nandini Sundar writes about the Maoist conflict in Bastar. Here she talks to Firstpost about the academia’s role (or lack thereof) in studying the Maoist conflict, the politics of co-option by the state in the region, the maligned adivasis, the future and what it may bring to the region. 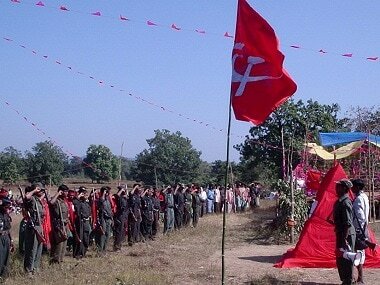 Maoists are regularly a source of inquiry, and keen interest for the academia in India. Why do you think that is? Is it down to ideology, which would be in contrast with the much larger corporate structures now operating in the country, feeding pockets here and there, something that the academia finds itself opposing on a regular basis? In fact, there is very little academic work on the current phase of the Maoist movement. In the earlier phase of the 1970s, we had some excellent scholarly work like Sumanta Banerjee’s In the Wake of Naxalbari or Manoranjan Mohanty’s Revolutionary Violence, but that tended to focus on ideological and political developments. While there are good films and novels on the period, academic research has not kept pace. We are only now beginning to see some scholarly work based on oral histories, for instance interviewing former women guerillas. As for the current movement, which is in many ways very different from the earlier phase which was more urban and middle class, it was only in 2009-10 that people began to do PhDs or other research on this subject. Most of the books that have come out on the Maoists in the last few years have been journalistic accounts — Gautam Navlakha’s Days and Nights in the Heartland of Rebellion, Shubhranshu Chaudhury’s Let’s call him Vasu, Rahul Pandita’s Hello Bastar, and Arundhati Roy’s Walking with the Comrades. There is some work generated by security think tanks, but that’s from a statist perspective, and focused on how to get rid of the Naxalites. This is not to say that there is no social science work at all — Bela Bhatia and George Kunnath have done some good work on Bihar Naxalism. But really there is very, very little. I don’t think the issue is the ideological leanings of academics at all. The academics who study movements and political organisations — whether the Maoists or the RSS — need not belong to that persuasion. I myself have done research on the RSS adivasi front, the Vanvasi Kalyan Ashram, in 2001. One problem is that academics often take up issues for study only after they become newsworthy, rather than tracking long term processes in society. When it comes to organisations like the Maoists which are banned, it becomes very hard to do research — both because it is dangerous for the Maoists to trust researchers and because the state suspects you if you work on such issues. The biggest problem is that the state does not make the distinction between legitimate research and political activity, and does not appreciate the value of social science research. Extending the previous question a little further, does it also reflect the country’s near-sighted approach when it feels that the adivasi requires “saving” from himself and his prehistoric lifestyle (as you also quote a minister saying so during the Congress’ tenure at the centre)? How, where do we draw the line when we talk about bringing India into the modern world then? The country has always used adivasi labour — whether to cut timber, collect forest produce, work on tea gardens, brick kilns, urban construction sites, or in the army — in these roles, they appear to need no ‘saving’. It's only when they live on their own land in relative autonomy that they are seen as needing to be saved. Adivasis have always been modern. It’s the upper-caste upper-class India which looks down on them while exploiting their labour and resources, which is trapped in a feudal mindset. Even in terms of their culture which is relatively more egalitarian, they are more in keeping with the modern values of the constitution than some of the ‘civilised’ parts of the country who practice honour killings or lynch people for eating meat. Have we, the academia included, completely understood the Maoist? You say in the book that the adivasi is the unfortunate victim of war he hasn’t even waged. How do we then evaluate the Maoist’s position in this discourse (of which, perhaps the constitution is the most important document to refer to), and consequently the state’s? Surely, it isn’t as simple as calling the two enemies as many would have us believe? No one can ‘completely understand’ the Maoists, including the Maoists themselves. There are different types of Maoists — women, men, middle class Maoists who sacrificed their lives for an ideology, peasants who joined for dignity, adivasis who were driven into the movement due to severe exploitation. The movement is different in different states, and the experience of each of these categories of members is different. As I said, our research does not even begin to scratch the surface of the issues involved. People’s beliefs about themselves or a Maoist version of the Maoist movement, while important as a source, does not exhaust what can be said. Also, I haven’t said that the adivasis are victims of a war they have not waged — I say there is a complicated relationship and overlap between Maoists and adivasis but they are not synonymous. In Salwa Judum, the state opted for a tertiary arm (before Operation Greenhunt as you mention in the book). In that way, the treatment of the conflict in Bastar as compared to say that in Manipur or Kashmir has been different. Will the path to resolution be different as well? How do you see it? And is that down to the object of contention here — the ‘resources’? How has your interaction with the organisation been? On the contrary, [I would say] the treatment of the conflict in Bastar has been very similar to that in Manipur or Kashmir — as I say in the book, the technology of counterinsurgency is remarkably similar across the world, even when the issues are different. In Kashmir, the state has used surrendered militants (Ikhwanis) in much the same way as surrendered Naxalites are being used in Bastar — as undisciplined storm troopers. 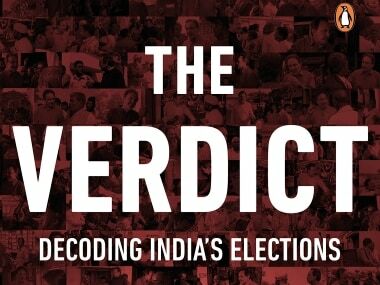 The path to resolution in all these cases is also similar — through political dialogue. The issues over which dialogue needs to take place are, of course, different — resources in central India, autonomy/freedom in Kashmir and so on. Another common feature or ‘confidence building measure’ that will help greatly in reducing conflict is for the state to enforce the rule of law, minimise human rights violations, acknowledge its mistakes, provide compensation and prosecute those guilty of excesses. 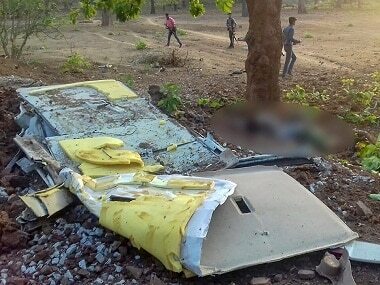 While the conflict in Bastar still finds space, though scant, in print and online media, why do you think TV journalism has stayed away from the conflict? Is that indicative of how media has functions today? TV journalism hasn’t exactly stayed away — it's just that it has mostly adopted a statist perspective on the conflict. As I say in the book, TV’s focus on breaking news and visual effects also denies this story the kind of complex exploration it deserves. Is the politics of co-option, which both national parties can be accused for, for the situation in Bastar, the most dangerous form of statecraft when it comes to handling your own citizenry — turning adivasi on adivasi ? 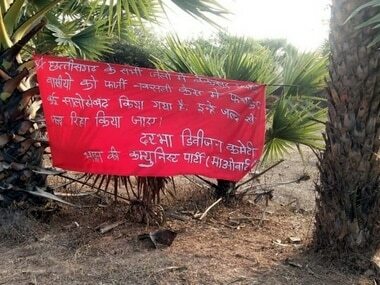 What does the adivasi resort to then? Does it turn into a simple case of kill, or be killed? You are right, this is the most dangerous form of statecraft. This is exactly what Justice Reddy and Nijjar warned against in their 2011 Supreme Court judgment banning state support for vigilante groups: “society is not a forest where one could combat an accidental forest fire by starting a counter forest fire that is allegedly controlled. …. Armed, the very same groups can turn, and often have turned, against other citizens, and the State itself”. We see this in Pakistan where state sponsored groups have engaged in terror against the Pakistani people themselves and also in the case of India’s gaurakshaks. For ordinary people caught up in a conflict in which their own people are armed against them, the best that they can hope for is that they somehow survive this nightmare. But it’s hard when corruption and suspicion seeps down into society and even into families. How has your interaction with other journalists and reporters who have reported from the conflict zone been like? What do you usually discuss? Malini Subramaniam, recently for example, was forced to leave the region. Is security a problem, especially for those who report regularly on the issues? We usually discuss how many citizens have been killed and raped recently. We share notes on how we have been attacked by the police and their goons. We talk of forbidden texts like the Constitution. Sometimes, when we are in the mood for leisure, we talk about all the films we can’t see, all the things we can’t eat, and all the people we can’t love, because our patriots have forbidden us. We have secret crushes on Fawad Khan but we make do with Ajay Devgn instead, because he is shudh desi. Finally, there is a narrative underlined here by another stroke of 'liberalisation' (the lessons we perhaps never learn?) — as you mention that of the mining policy in 2003. Where is the middle ground in all of this, and is Bastar the worst example of jostling for this middle ground that we city-dwellers give up the ghost on asking about? Are there any practical solutions that you can think of, particularly in regards to Bastar? As I say in the book, especially in the epilogue, the only practical solution is peace talks. Civil society must put pressure on political parties and governments to live up to the principles of the Constitution and bring about peace with justice.